Jeremy Koch of Koch Ford Lincoln. Photo courtesy of Koch Automotive Group. In 2017, Western Canada’s Koch Automotive Group launched an e-commerce website for its client-base, featuring tools like online deposits and reservations, customer accounts, wish lists and more. The platform allows consumers to browse inventory, speak with live operators and reserve a purchase — all online. The website offers a 24/7 live chat option through a third party. However, when a user asks a question, files a lead, books a test drive, or places an online deposit, these transactions go straight to Koch’s in-house internet sales team. Like they would at a brick-and-mortar store, consumers can schedule test drives and even negotiate pricing. And like on most dealership websites these days, shoppers can write and publish vehicle reviews review, as well as read other customers’ opinions. Shoppers can also create user accounts, which enable them to track prices of vehicles they are watching and save vehicles to their personal wish lists. Koch Ford has implemented price tracking; now, a customer can suggest a reasonable price, and if the vehicle drops to the requested price within 30 days, the customer will be alerted. Additionally, there’s a "Reserve" option offered; it lets consumers reserve a vehicle with a refundable 1-percent deposit. One a customer purchases a vehicle from a Koch store, they are able to view the purchase history of their vehicle, including service and maintenance receipts, on the same user account, adding even more convenience post-purchase. The aim of these user accounts is to save time during a long purchase journey, Koch said. When it’s time to pay, consumers are directed to use a major credit card or a PayPal account to complete their transaction. The website solution has been rolled out across all of the dealer group’s Alberta lineup, including DK Ford in Leduc, Koch Ford in Athabasca, and Koch Ford and Koch Lincoln in Edmonton. 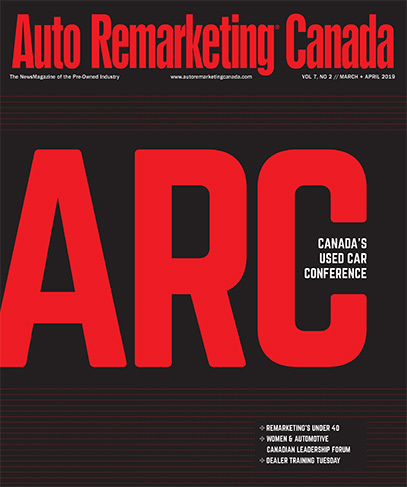 But it’s not so much that Koch Auto is focusing on being “cutting edge,” Koch told Auto Remarketing Canada. And Koch Auto Group’s new e-commerce website is a reflection of just that. As to what two customer pain points the website was meant to address? Koch says it comes down to two things: convenience and transparency. What he means is that if a customer sees a product they want, they should be able to secure that product in real time, just like a plane ticket, or other potentially big-ticket items. In building its e-commerce website, the dealer group started in-house through trial and error, experimenting with multiple platforms and websites before adopting their current solution. After deciding on a framework and programming language, the dealership then looked at sourcing a development team. The dealer group also ran a survey after it first launched the site last year. At the time of the survey, 43 percent of Koch’s customers said they would buy a car online, and 23 percent said they would use the online deposit tool. “Customers appreciate the convenience, and having true e-commerce functions, like a product page tied to a live payment system, creates a sense of accountability when it comes to pricing that consumers value,” Koch said. As for whether is has attracted new leads and customers, Koch said yes, but cautioned that e-commerce by itself is not a lead generating machine. “You need to build a website with the users’ intent in mind,” he said, and the user interface (UI) and user experience (UX) of a website plays an important role in conversion. For example, car buyers need to be able to easily funnel down to a specific vehicle. “When they find what they are looking for, our design and dev team needs to make it easy for them to take the next steps, whether that is asking a question, booking a test drive, or placing a hold with a deposit,” Koch said. The one thorn in the side of many dealers looking to move toward e-commerce and online sales, is, you guessed it, financing. But the industry continues to move closer. And Koch believes online sales is where the industry is headed. “I am looking forward to the day when a consumer completely bypasses our dealerships and buys a vehicle fully online,” he said. He explained many dealers are realizing that when a consumer has all the information about a vehicle at their fingertips, this often results in deals closing faster in-person. And it provides consumers with the convenience and information access they want and expect. “If dealers do not change to meet customers’ new expectations, they will lose on capturing those car buyers. The fact is that the purchase journey for most products and services is now predominantly digital, and our industry needs to accept that,” Koch concluded.